Tusco Products strives to provide the classic look of clay and natural stone pottery without the expense, cracking and heavy weight associated with traditional clay planters. 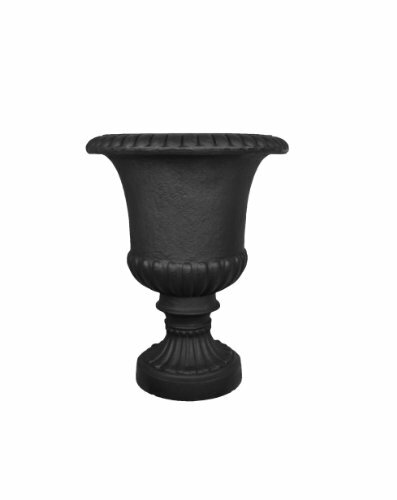 This urn planter is a popular shape and is made of lightweight, rotation molded plastic. The planter is unbreakable, won't fade or crack and can withstand all weather elements. A 10 year manufacturer warranty is included. If you have any questions about this product by Tusco Products, contact us by completing and submitting the form below. If you are looking for a specif part number, please include it with your message. The Living Urn for People. Cremation Funeral Urn for Humans Including a Premium Tree Seedling. Grow a Living Memory Tree from the Ashes of a Loved One. 100% Biodegradable. Bios Urn Memorial Funeral Cremation Urn for Humans. Passing becomes a transformation as your beloved’s ashes are returned to Life by means of nature. Grow a living memorial tree. 100% biodegradable. 100% made with love.